Adel arrived at a hospice, and seemed to be like any ordinary patient, but she endlessly tried to flee, and constantly muttered in German about needing to “verwandeln.” What could she mean? Also, Big talks a bit about Dean Wesley Smith’s “Killing The Sacred Cows Of Publishing,” and Rish argues with him about them. Then, they play a round of “Two Truths & A Lie,” with a book by Kevin David Anderson hanging in the balance. Warning: Some of Rish Outfield’s statements in this episode are even more (deliberately?) incendiary than usual. Listen with a grain of salt handy. Music was Przez te naszą wieś by Kapela na Dobry Dzień. 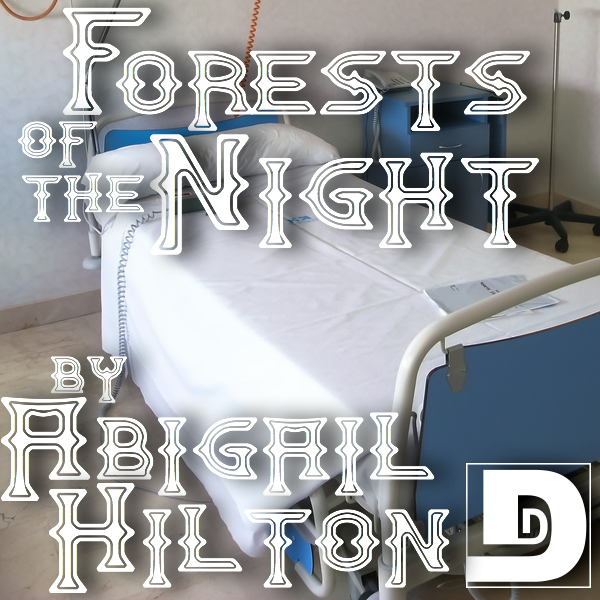 This entry was posted on September 13, 2010 at 12:18 am and is filed under Abigail Hilton, Fantasy, Short Story. You can follow any responses to this entry through the RSS 2.0 feed. You can skip to the end and leave a response. Pinging is currently not allowed. STORY: I kind of felt like the story was too short. It was a complete story, no question, but I wanted more. Like, this was the first act, but where’s the rest? COMMENTARY: I rewrite my stories usually twice. Once in a series of red pen edits, where I go through the text and find things that don’t work or are incorrect grammatically, etc, and a second time when I usually rewrite the whole thing, start to finish, changing 20-50% of it. That’s about it. That said, I’m not a huge fan of DW Smith. I haven’t liked anything of his that I’ve read. Clearly he’s successful, because he and his wife make a living writing and editing, but IMO she’s the better writer. Of course, I also don’t like 99% of the Cat Rambo stories I read and she’s having success… maybe if I write more like people I don’t like the writing of, I’ll have more success. If you guys talk more about writing, that’s fine… but change it up. Don’t JUST talk about writing. I like the other chats. And, 080t, I like you the way you are. No need to upgrade. Discussions of writing and publishing are interesting to me. I think they’re particularly interesting when you have some sort of reference point for the discussion, such as the Dean Wesley article. I’ve always wanted to write a werewolf story with a beauty and the beast type premise. But somehow I bet that’s been done. I don’t think I’d ever write a vampire story. Bryan, you will write whatever I tell you to. Furthermore, you will like it. Now back to work editing, soldier! I really liked this story. It was exceedingly good. Biggest complaint was that it was a little too blatant. (The meat thing was a bit much for me.) Still, it never said the word “werewolf,” which earns back those points. Mostly.